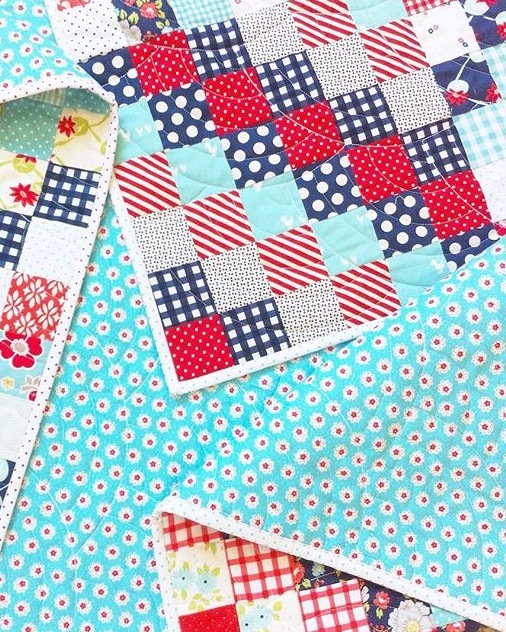 If you've been following me on Instagram you know that I'm a little crazy about the Scrappy Trip pattern (tutorial found here). Some people don't like the unpicking involved in that method, but I think it's fun, because you never really know how each block is going to turn out! Here is the first Scrappy Trip I made, following the original pattern. I finished it about a year ago, and it has been on many trips with us, as you can see! 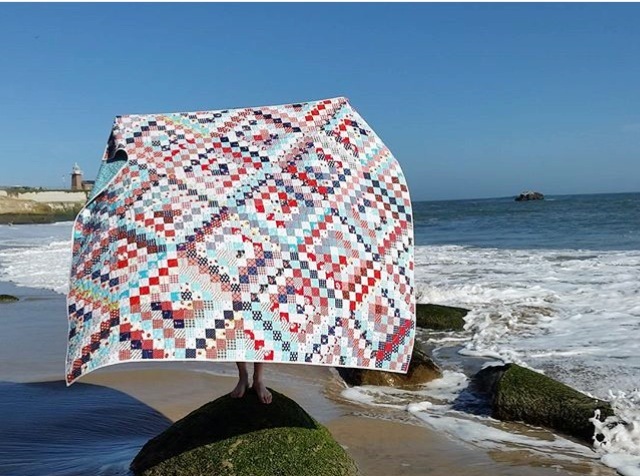 I used probably 14 different lines for this quilt- basically anything red, navy, and aqua that I had. It has a lot of Bonnie and Camille, some Tasha Noel, a few basics, some Lori Holt, and a couple of scraps I can't even identify. I backed it with a Lecien Flower Sugar I got from Whimsy Quilts and Fabrics, and did a scrappy binding of white Swiss Dots from Riley Blake in red, aqua, and navy. It was quilted with Baptist Fans by Hollie Rawe. 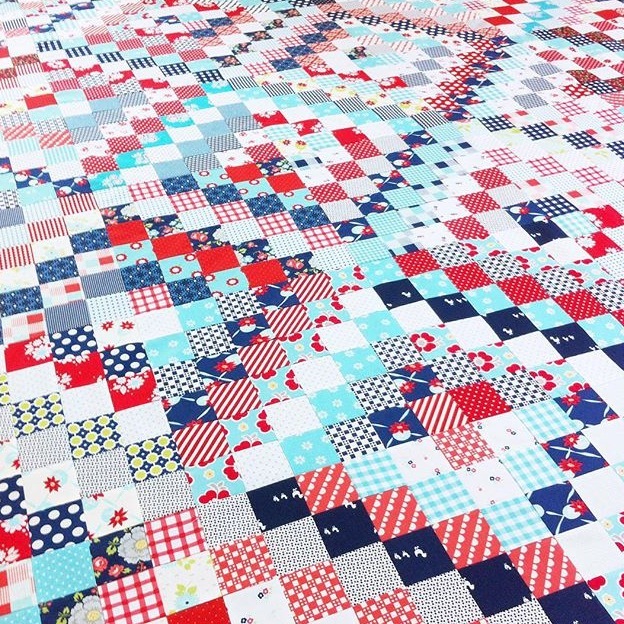 When I was making this quilt my oldest son was barely 4, and he would say, "when this quilt is ready we can have a picnic for America!!" That is Totally Awesome! You have made a wonderful quilt. I am a confident beginner but feel like a beginner with some of my blocks. I am happy to be following you. You have inspired me, Thank You.